I can’t help myself. I know it’s only September but I’m getting ready for Halloween early this year. Not by putting up decorations. My son is grown and it’s time for me to play again. I’ve started with Halloween flicks. For the last few Fridays, I’ve had “girls night in.” So many movies to choose from! These are a few we’ve started with and I just found out Annabelle 2 is coming out next year! Watch the preview! We started with The Conjuring 2. This movie is a great one to see if you like being creeped out throughout the whole movie. Yes! From beginning to end. I did! Such a freaky, freaky, Nun. 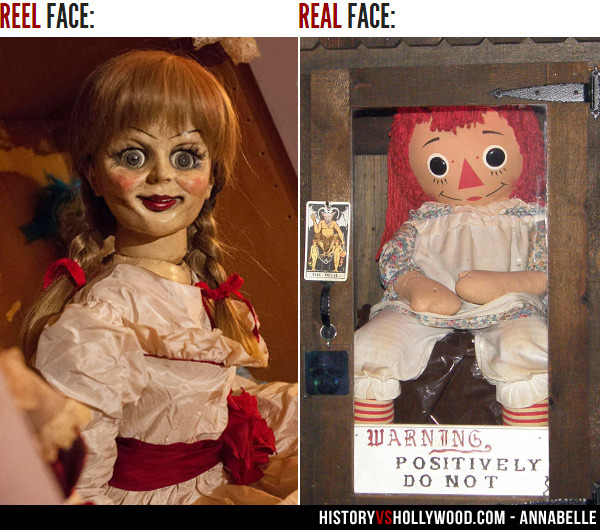 We moved on to Annabelle. Annabelle is another great flick! I’m not a big fan of dolls. Dolls just give me the creeps in general. I looked up the original doll that was possessed, because, really, what person in their right frame of mind would want to own the one in the movie? Here’s what I found. And it makes sense that kids would want to play with the real doll. At least to me:) Seriously Creepy! I know, we started Halloween way early. Next on the list was What Lies Beneath. The Conjuring 2 and Annabelle I hadn’t seen. What Lies Beneath, I’d seen but didn’t remember what it was about. 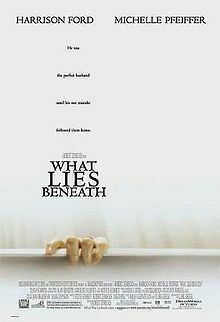 What Lies Beneath didn’t have the creep factor I enjoyed in the first two movies we watched, but it wasn’t bad, and Harrison Ford is in it. I may be the only one that has issues with Facebook, or maybe not, but I’ve have never fully understood Facebook (in business) Fan Page vs Personal Page, until now. Umm… So that might be a lie. I’m sure there is more to learn about Facebook. I don’t normally play on Facebook much, but I might start after reading this. I have taken classes on Social Media. One of them on FB, but those classes were short and more about FB advertising, setting up your pages and content writing for business. Not so much on FB for Authors. There is a difference. Yes, authors sell books, but most of us are not a locational store, we’re mainly on different platforms like Amazon, B&N, etc. When I first started using Facebook I spent a ton of time trying to figure out how. As in “the how” to get this to work for me. I am not an overly social person. And I failed to figure it out. I got frustrated and fed up so I stopped. Kristen Lamb’s latest post Does FB Sell Books & Do Writers Need a Facebook Fan Page? made the lightbulb in my brain click on. Oh? Really? That makes sense. Mainly I post about books, new releases, classes I’m taking, etc. I’m not known to post much about my personal life (family photos)… because… it’s my personal life. I prefer not to have it all over social media. I’ve always known I should post different posts to different pages, but the “how to” between my personal page and fan page, well? So I got to the point of just linking my blog posts to Facebook. Now, I’m not so much about selling my books on Facebook. I’m more about putting the energy out there and reading other people’s posts. And I’m not planning on spending a ton of time on Facebook. My time is limited and can be better-used writing. Kristen Lamb’s post goes more into the selling part. The part of Kristen Lamb’s post that interested me most was about the feeds. I do get on Facebook once in a while and read posts. There are posts that I enjoy, I just rarely share and like them. Why? It never occurred to me to do so. In Kristen Lamb’s post, she states that shares and likes are what keep FB algorithms alive for your feed. If you can’t keep your feed alive? You should probably advertise. My feed? I should probably advertise. Hmm… I remember a friend of mine telling me this too. The difference, I’m on the computer right now, reading and learning. When my friend mentioned FB algorithms to me we were on a hike. Nature distracted me. So in one ear, out the other. I highly recommend hopping over to Kristen Lamb’s Blog and reading her post on Facebook. There’s some great information there.